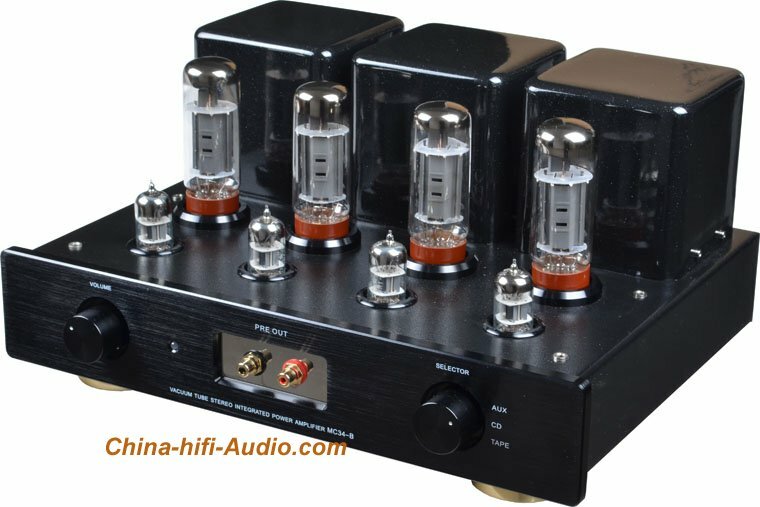 This amp can be a preamp, and also can be a Integrated amplifier. This tube amp is MC34-B upgraded version. The original classic is Integrated amp circuit. This upgraded version added preamp output function. The preamp Functional effects prominent, very high performance cost ratio. Its front panel has a preamp output, can be a preamp to link power amp. In the rear of the chassis has a switch, to chooes preamp or Integrated amplifier. Designed ultra-wideband output transformer, superior sound quality. Power supplies short circuit protection. Preamp is Nagao type inverter circuit. Power amplifier is a push-pull circuit. Export volume in the first Meixing amplifier. work well for the speakers sensitivity which above 86dB.